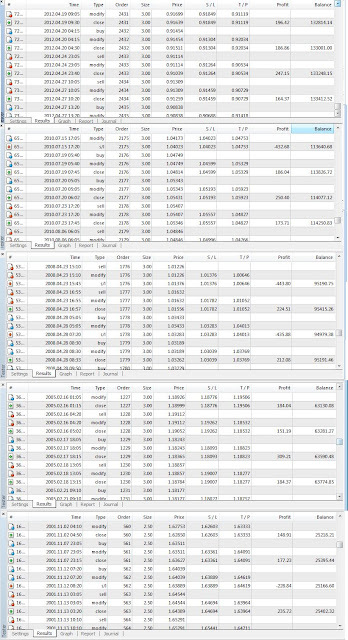 Best Forex Automated System Top Ranking: One more TDif1 using USDCHF/H1 initial $10k growth to $122k !!! 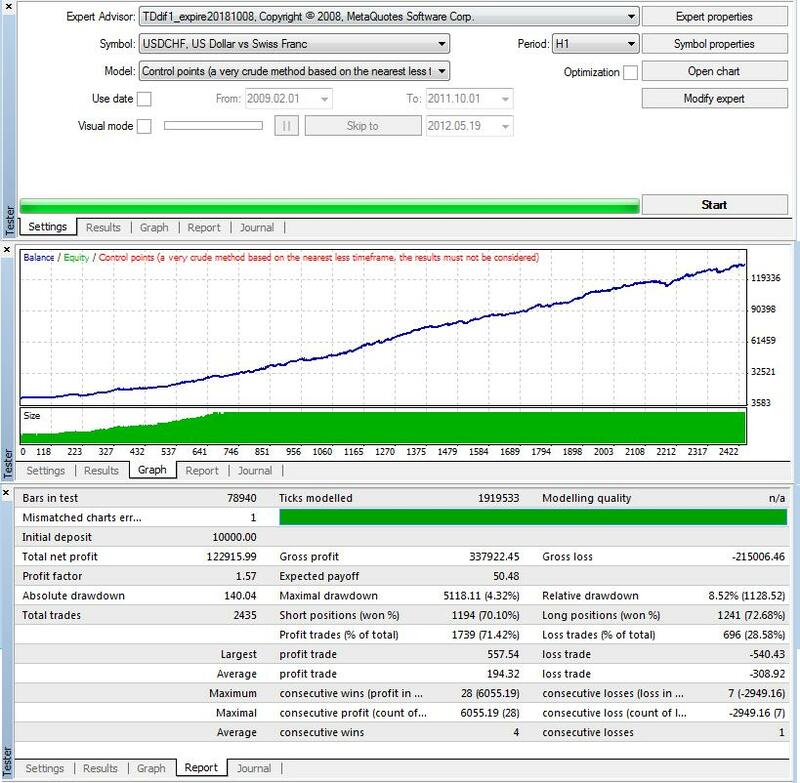 TDif1.mql from my Cook Book. If you are interested in getting this EA and many other 200+ EA, please purchase it USD$79 here. I run the strategy tester on one of my many 200+ EA call the BFR CB, you can find out more about this in the trading journey start here. 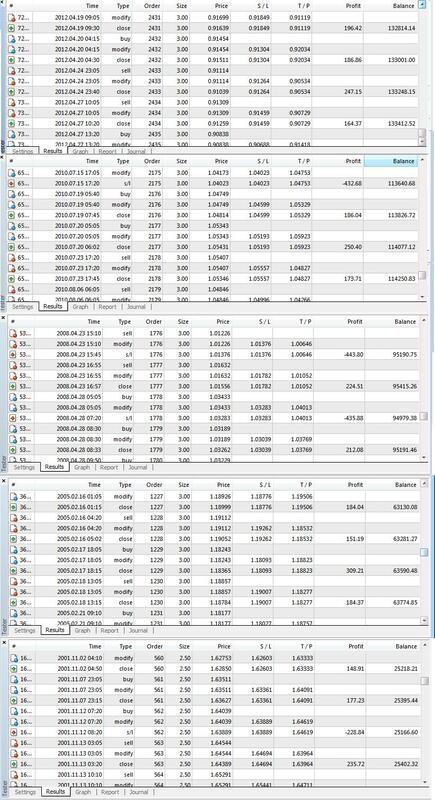 I did a simulator run with the MT4 Strategy Tester for all date and time. (I did not tick the date). Using H1 time frame at USDCHF currency. (Click on image to see detail). Using the same TDif1 as previous EA.